A number of the original investors in software developer Phorest have been bought out for an amount that equals almost ten times their initial investment. Some 12 HBAN angel investors provided €700,000 over two funding rounds to Phorest, the first in 2011 and the second in 2013. John Phelan, national director, HBAN, said that the Phorest deal has yielded one of the largest returns for angels in HBAN history. "It is a real indication that the angel investing market in Ireland is maturing. We are seeing deals where our members are now getting substantial returns on their investments, particularly in the information and communications technology (ICT), medtech, life-sciences and healthcare sectors." Phorest, which provides management software for hair and beauty salons, was founded in 2004 by Ronan Perceval and Jamie Myerscough. The software, which enables salons to take bookings online, manage appointments, roster staff, control stock, implement marketing campaigns and create loyalty programmes, is used in more than 4,500 salons in ten countries around the world. Completing a third investment round of €20m with US investment firm, Susquehanna Growth Equity (SGE), in June, led to the full buyout of three of the original HBAN investors in Phorest, with five others opting for a partial buyout. Ronan Perceval, co-founder and CEO, Phorest, said: "Investors often tell you the cliché that they bring more than money, but in this case it was true – many of the angels brought unrivalled expertise and invaluable advice in relation to structuring and scaling the business from €1m revenue to €13m." 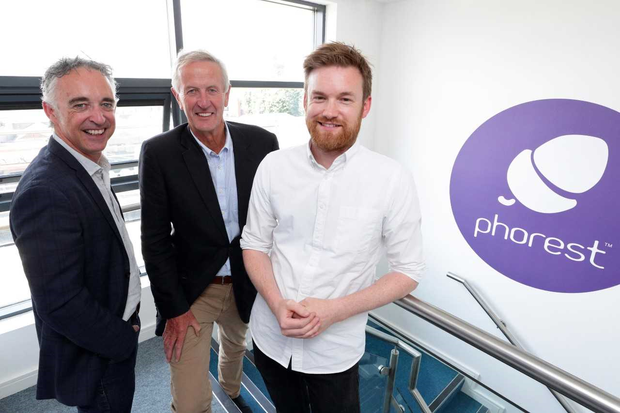 Bloom Equity and Boole Investments made the original investment in Phorest, the first ever deal involving two HBAN syndicates. Pat Garvey of Bloom Equity acted as lead angel on the investment and now serves as the chairman of Phorest. "As well as an excellent track record in the software as a service (SaaS) world, [SGE] is committed to Phorest’s development and ambitious growth plans for expansion into new markets," said Mr Garvey.